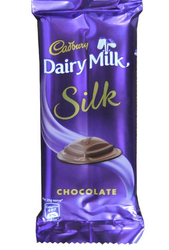 Being a leader in the industry, we are engaged in trading a premium quality array of Cadbury Chocolate. - Cadbury launched its Dairy Milk bar, a production of exceptional quality with a higher proportion of milk than previous chocolate bars. Gifting someone Candles has always received a great amount of appreciation. This pack of 6 Aromatic Candles will not only spread their light all around but also their fragrance will infuse with the surrounding air. For something extra, we have added 4 DaryMilk Chocolates with it to make it a special gift. 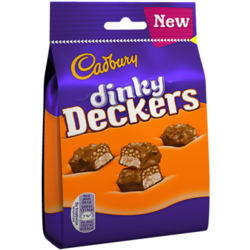 Shareable squares of crispy cereal and soft, pillowy nougat, coated in smooth Cadbury milk chocolate - double the dinky delight! Brand: CADBURY Variant: HOME TREATS Objectives: Cadbury wanted to improve Home Treats’ perceived value through a promotional product that appeals to homemakers.Solution: Lock-n-lock containers Result: This campaign helped Cadbury to create a consumer base for Home Treats. Our company has earned accolades in offering Imported Chocolates.